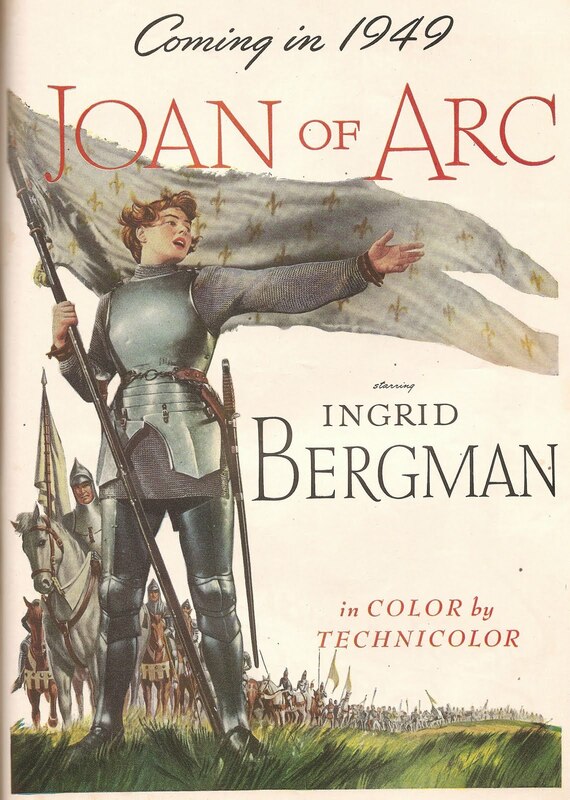 This lovely ad for the movie "Joan Of Arc", starring Ingrid Bergman, appeared in the September 1948 issue of Cosmopolitan magazine. Another great find from Half-Price Books. Thanks mom. I love your blog, you have many rare items (rare to me, anyway)! Thanks for posting them for others to enjoy. Thank you. I have a good time finding items for my blog.